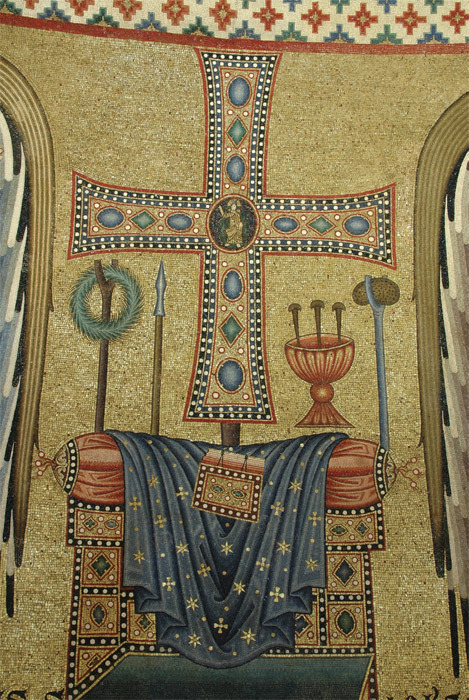 Detail of the apse mosaic, Basilica Papale di San Paolo fuori le Mura, thirteenth century, Rome. Photo: Luca Marchi. Cover illustration of Giorgio Agamben’s The Kingdom and the Glory (2011). The Kingdom and the Glory: For a Theological Genealogy of Economy and Government, by Giorgio Agamben, Translated by Lorenzo Chiesa with Matteo Mandarini. Palo Alto, CA: Stanford University Press, 2011. 328 pages. $25.